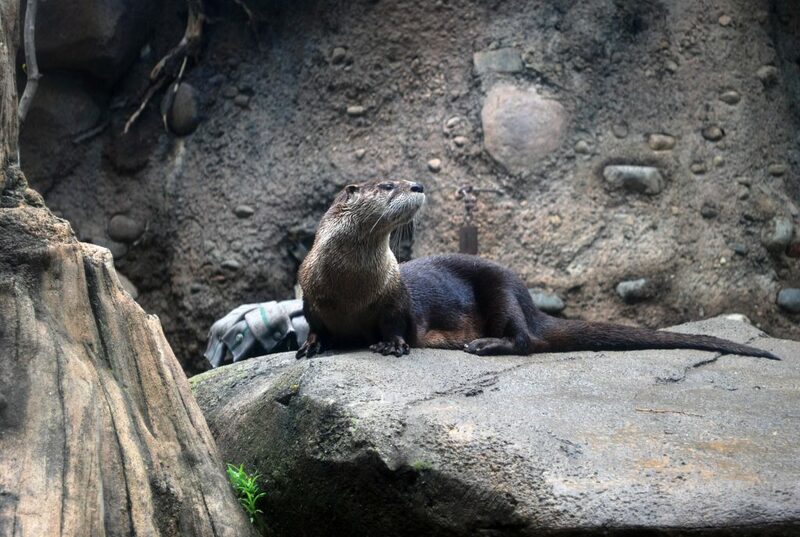 As one of the first exhibits visitors see at the Zoo, our river otters are a fan favorite. Their playful semi-aquatic lifestyle is nearly as captivating (and observable) as their sleepy rest times. Because of their dependence on waterways, they have four webbed feet, ears and nostrils that close tightly, a propeller-like tail, a waterproof undercoat, and an insulating outer coat. They are also nearsighted, which actually enables them to see better underwater. During a dive, they can even slow their pulse to conserve oxygen. The otter has a keen sense of smell and very sensitive whiskers, too. 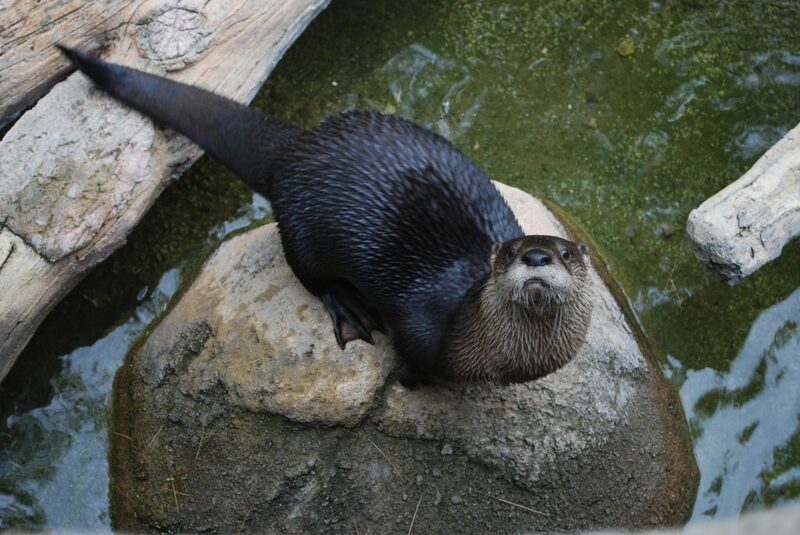 Their whiskers enable them to detect prey items in murky water! As members of the Mustelidae family, otters have specialized glands that secrete musky smelling oil for identification, marking territory, and for protection. Otters rely on a special oil they produce and apply to their fur to protect their skin from becoming wet. Pollutants in the water can irritate this water-proofing mechanism, and otters will choose not to live in areas with pollution. Having wild otters present near your home or work is a great indicator of a healthy landscape! North American river otters are one of the most populous otter species now, but were once considered extinct in some of their geographic ranges in the 1980’s due to fur trapping and polluted water. Thanks to restrictions in the fur trade and successful breeding and reintroduction programs in zoos and aquariums, North American river otter populations have increased to inhabit many of their native habitats once again! We are happy to participate in many Species Survival Plans, including the one for North America river otters, to help bring species back from the brink!